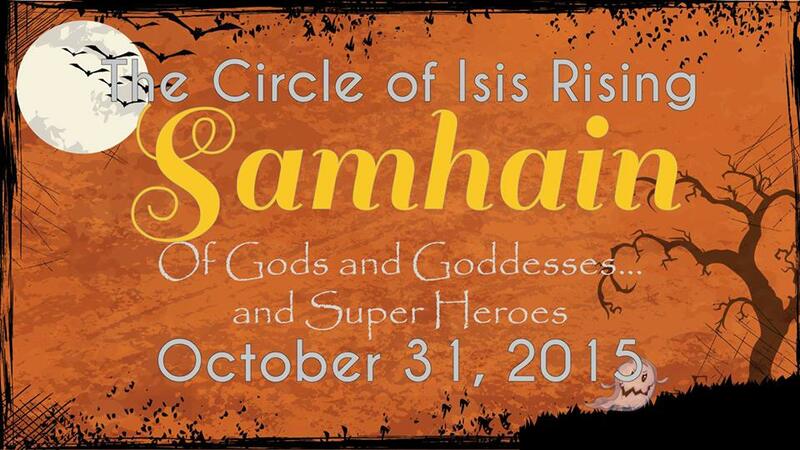 You are invited to join us on Saturday, October 31, 2015 to celebrate Samhain! Samhain is the Witch’s New Year Eve. The date marks the ending of summer and the beginning of winter. We honor the dead and the living for the glory of Mother Goddess and Father God. Come dressed as your favorite God, Goddess, or Super Hero (or what ever else you can imagine). The raffle is called “Light My Fire” and consists of over 100 little taper candles with a lotus-shaped candle holder that fits each candle perfectly, one at a time. We begin gathering at 6 P.M. with ritual starting around 7 P.M. Following the ritual, we will enjoy an evening of music, fellowship, and a potluck meal. Bring your favorite dish to share. We will have a costume contest with the grand prize being a free psychic reading. There will also be readers available if you want a Samhain reading. We ask for a minimum $13 donation to help cover the cost of the facility. Camp Greynolds is not in Greynolds Park! Directions from I-95 – take Miami Gardens Drive to NE 22nd Ave. Make a left onto NE 22nd Ave. The gate for Camp Greynolds will be on your right, just past the bus stop. No sky clad or masks. Guests under 18 must be accompanied by an adult. If you have questions, please feel free to call me at (305) 322-5598. 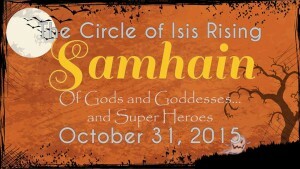 This entry was posted in Events, General and tagged Circle of Isis Rising, samhain celebration, samhain ritual, wiccan ritual, wiccan samhain ritual on October 17, 2015 by Sandra Cheryl.